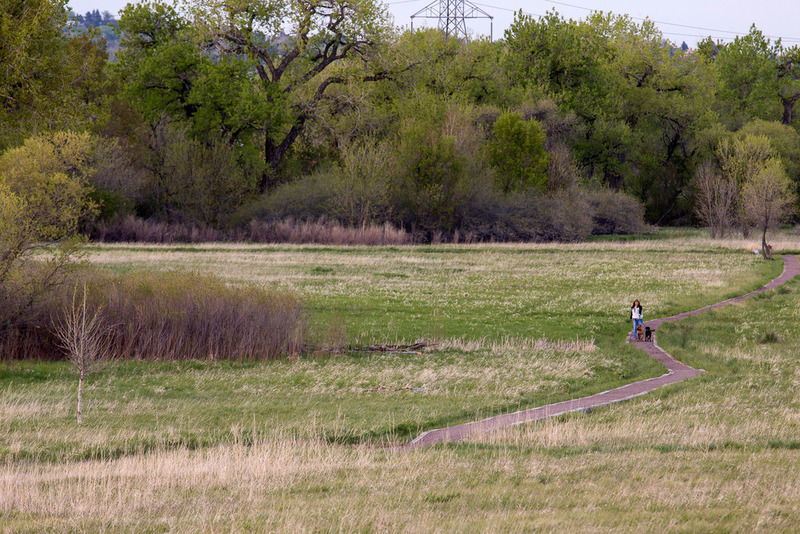 Arvada open space with miles of accessible trails for hikers, bikers, and equestrians. Interpretive signage and shelters throughout the space offer amenities to users. A dependable water source has made this beautiful valley home to ranchers, dairy farmers, hay farmers, and wildlife. 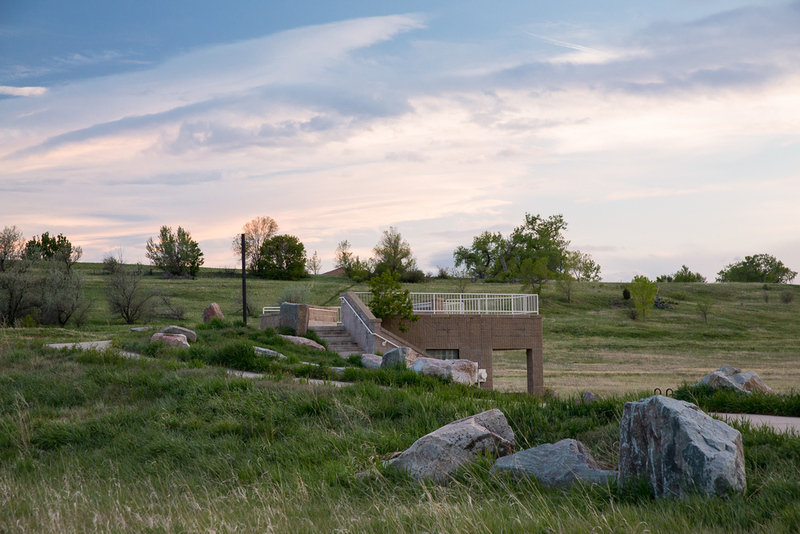 Urbanization has surrounded this once secluded valley, and Design Concepts worked with Jefferson County Open Space to create a public space shared by its most immediate neighbors as well as the community at-large to serve the varied needs of each. 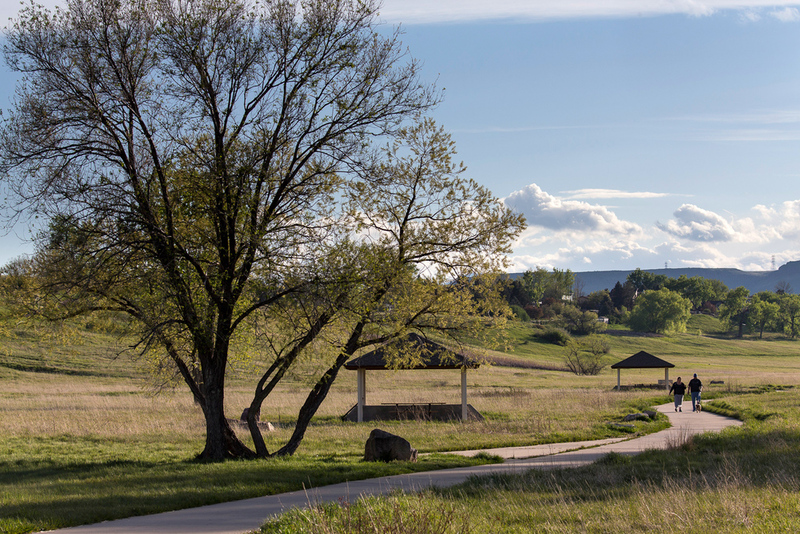 Pedestrians, bicyclists and even horseback riders enjoy the 5.5-miles of accessible trails, including natural surface and ten-feet wide concrete trails on this 130-acre site. The parking lot provides ample space for cars and trailers. A restroom is constructed into the hillside minimizing visual impact and maximizing energy resources. Plazas atop the building begin the park experience with an overlook portraying dramatic views of the valley. Interpretive signage throughout the park helps visitors understand and appreciate the native plant and animal species. Picnic shelters and benches offer quiet use along the trail leading to the ponds and wetlands. A boardwalk invites visitors to venture further and perhaps encounter more elusive wildlife.